Firefighters were called tonight along with Irondequoit Ambulance for a person in need of urgent medical care. When they arrived they found the driveway to the residence impassable by this weekends snow storms. On top of more than a foot of snow in the driveway, there was two feet of hard packed snow at the bottom from the streets being plowed. The main mode of transporting a patient from the house to the ambulance is via a 4 wheeled stretcher. Due to the heavy amount of snow, this task was nearly impossible. 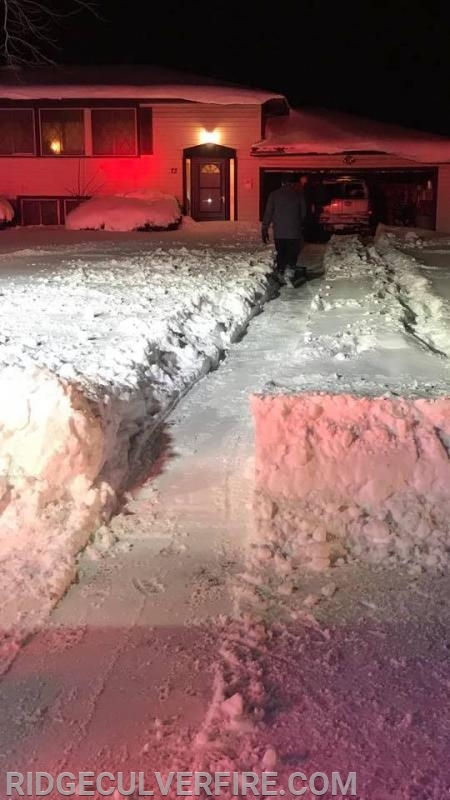 Firefighters were able to locate a snowblower in the garage in which the homeowner stated hadn’t worked for some time. 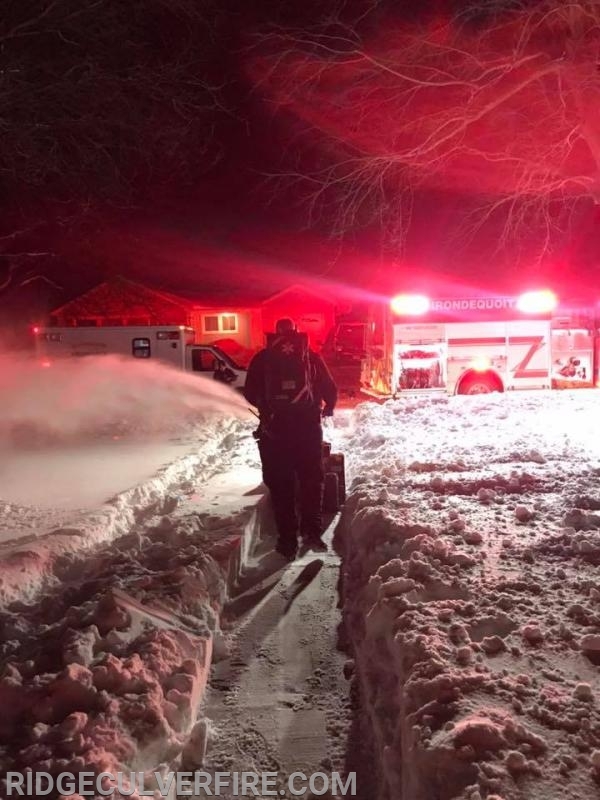 While the Paramedics from Irondequoit Ambulance worked to care for the patient, FF’s quickly filled the snowblower with gas we carry on the fire engine, located an extension cord for the electric start and “fixed” the broken ignition key to get the machine running. 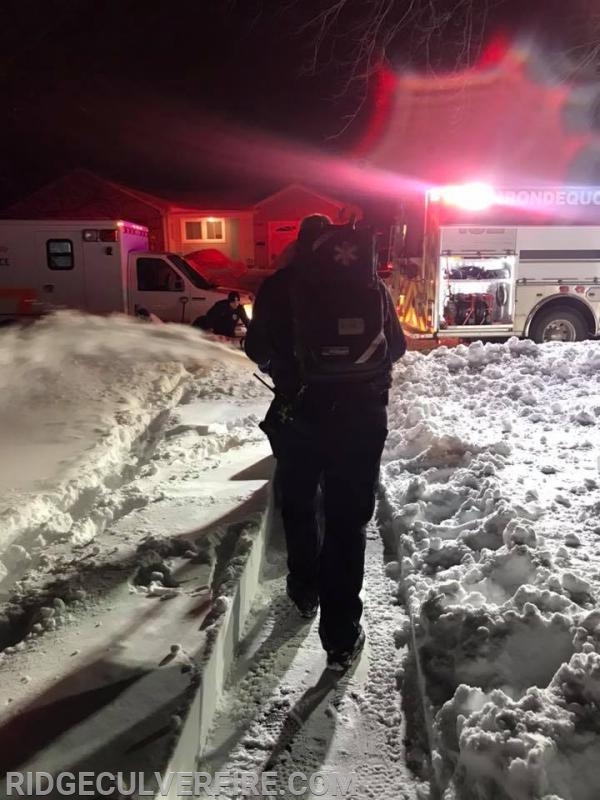 Firefighters quickly cleared a path for the stretcher, assisted the ambulance with packaging and removing the patient and they successfully transported to the hospital. Last year we responded to 2,300 incidents. Not every incident is glamorous, or filled with chaos and heroics. Sometimes the simplest thing we do is help our partners in Emergency Services and serve the residents of this town. Adapt, improvise and overcome! Great job RCFD! !